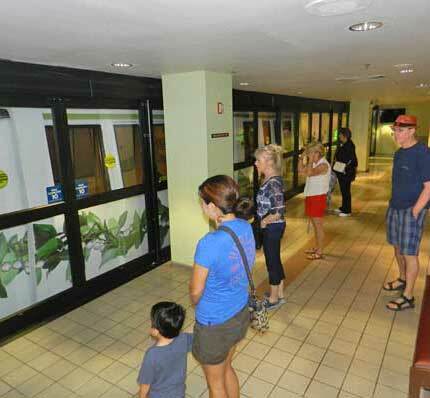 In 2015, TMS President Kim Pedersen documented Hawaii's only monorail. 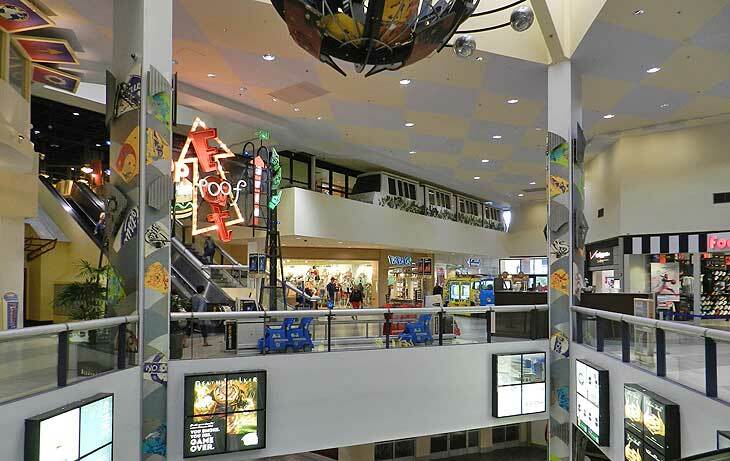 While it is a short two-station shuttle, it serves as a model for other developments in need of a 'horizontal elevator' with minimal use of construction materials. 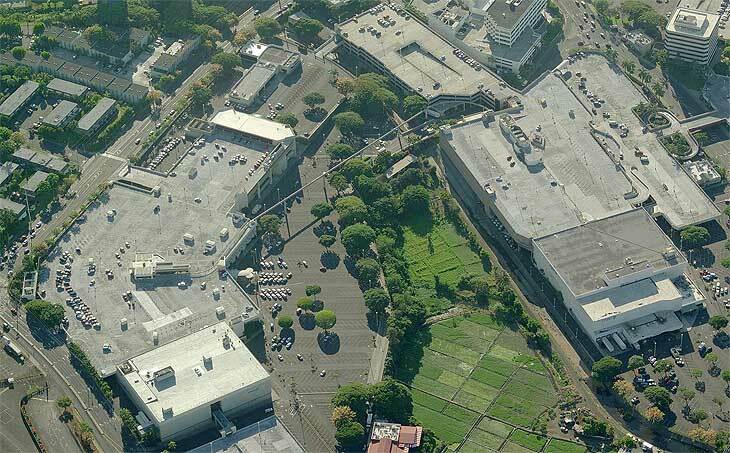 This is Pearlridge Shopping Center in Aiea, Hawaii, as seen courtesy of Bing Maps. Pearlridge Uptown was opened in 1972, the building complex you see on the left. Pearlridge Downtown was added in 1976, the building your see on the right. Between the two complexes is Sumida Farm, the largest supplier of watercress in the State of Hawaii. 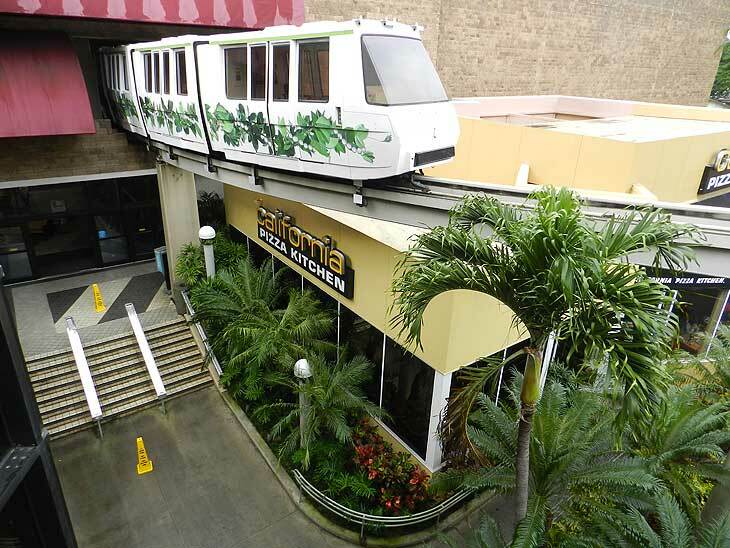 To move customers between buildings, the center owners contracted Rohr Industries Inc. of Chula Vista, California to build Hawaii's only monorail*. 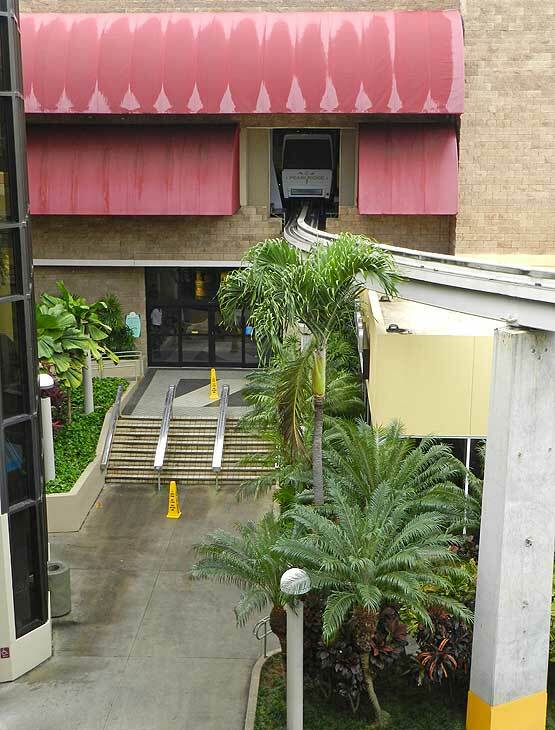 The air-conditioned Pearlridge 'SkyCab' monorail shuttle opened on November 7, 1977. 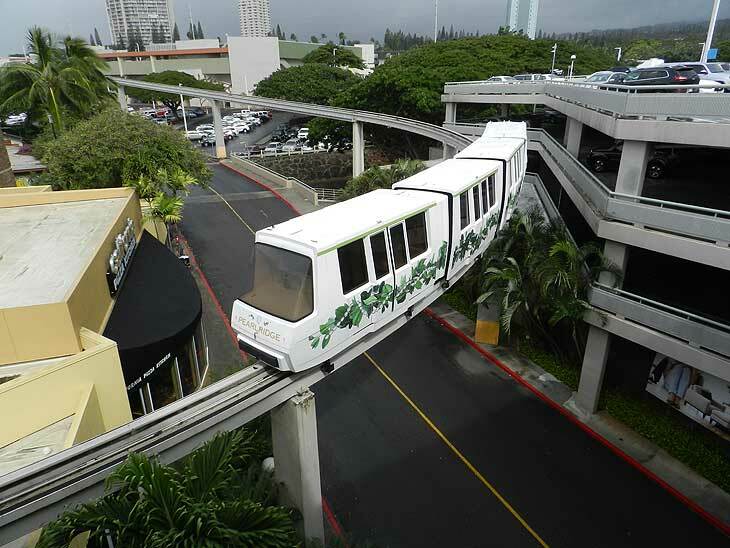 *Before you write us: Hilton Waikoloa Village has a ground-level tram, with trains that look like monorail. 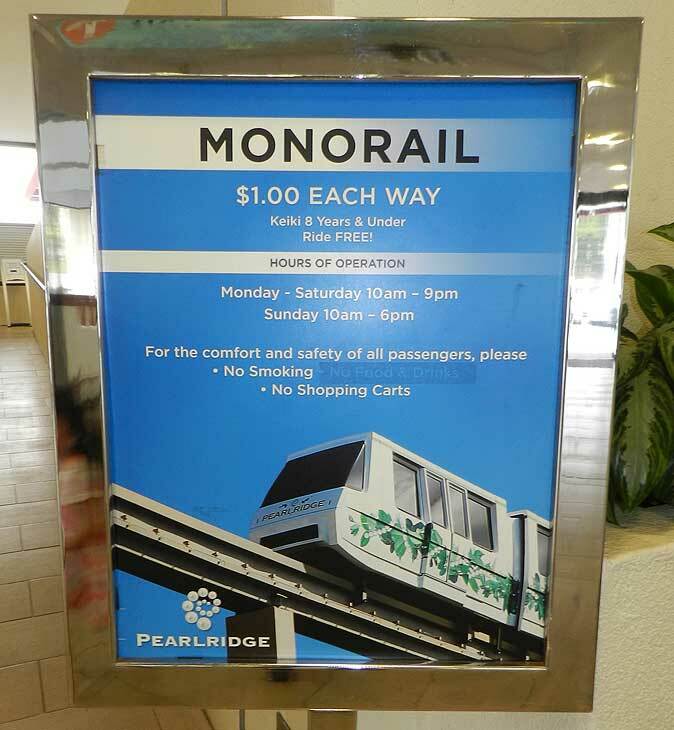 We start our tour of Pearlridge Center Monorail inside the Downtown building, where the monorail station can be found on the third level. Great price at $1, even better if you are Keiki, 8 years or younger! Downtown Station. 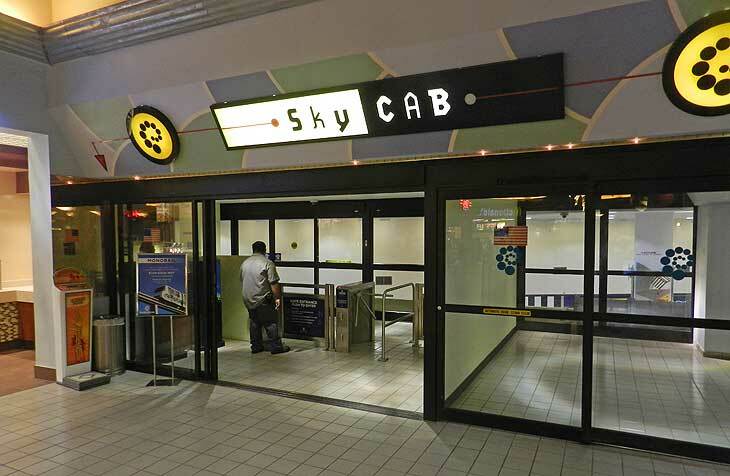 Yes, it is called SkyCab, but we all know it's a monorail, right? 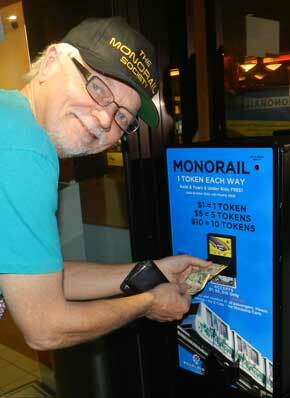 After careful study (reading glasses on), yours truly buys tokens. A short wait and our train arrives. 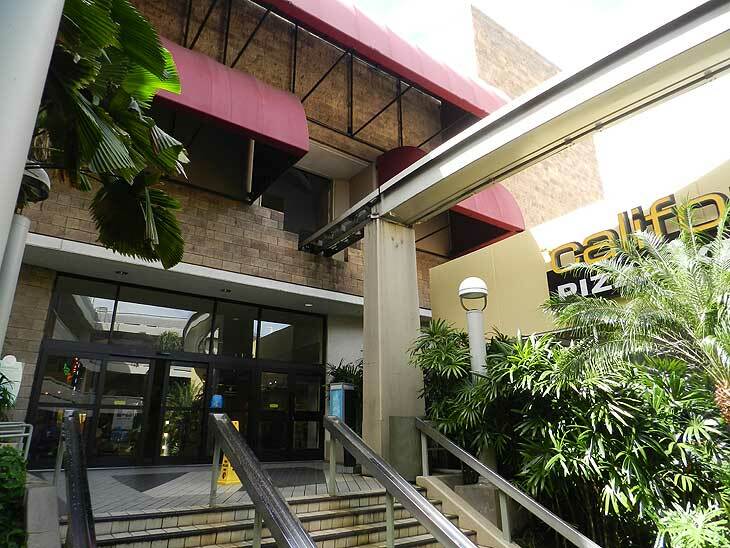 Pearlridge is yet another great example of how monorail is easily blended into all types of architecture. Because the trains are virtually silent, they don't disturb the peace and quietly cruise inside buildings. Minimal space is taken for the Downtown Monorail Station. We are on the way! Note to self; pizza later! The monorail crosses a road and squeezes by a multiple-floor parking garage.